THE SCULPTOR is still a bestseller! 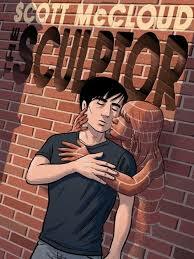 On 3 May, for the 11th week in a row, Scott McCloud’s THE SCULPTOR is still in the top ten on the New York Times Hardcover Graphic Novels Bestsellers list (at N° 6). This great book is now available in French, Dutch, Spanish and Italian as well as English. Next Post ABOUT THAT NIGHT shortlisted for Canadian crime award!